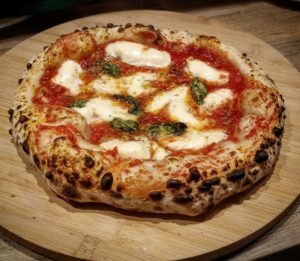 What do trains & pizza have in common? Most people complain about the UK’s rail service, but here at UTSf HQ, we couldn’t be happier with our trains! OK, maybe just one train in particular, which (by the way) has the BEST on-board catering you could ever wish for! Oh you guessed it, we are speaking of the wonderful Pizza Loco! Back in 2016, we got an application from young Ollie and his locomotive (they were obviously the same application, pretty sure trains can’t write) and we really struggled to say no. 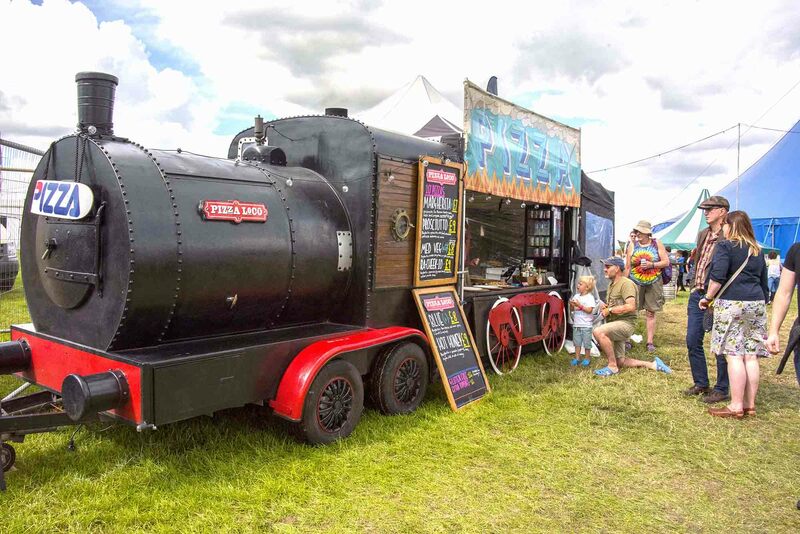 I mean, how do you turn down something as unique as this at your festival? Yes, our head was turned, but it wasn’t just about the spectacle, it needed to deliver the mouth-watering pizza it was promising. He turned up onsite with the infamous locomotive and the rest, they say, is history. 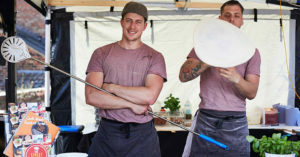 Ollie most definitely blew us all away with every aspect of his Neapolitan wood-fired pizza offering and has been at our festival every year since, consistently delivering on his high standards time and time again. So, when you have a train, which spits out spectacular pizzas every 60 to 90 seconds, what do you do next? 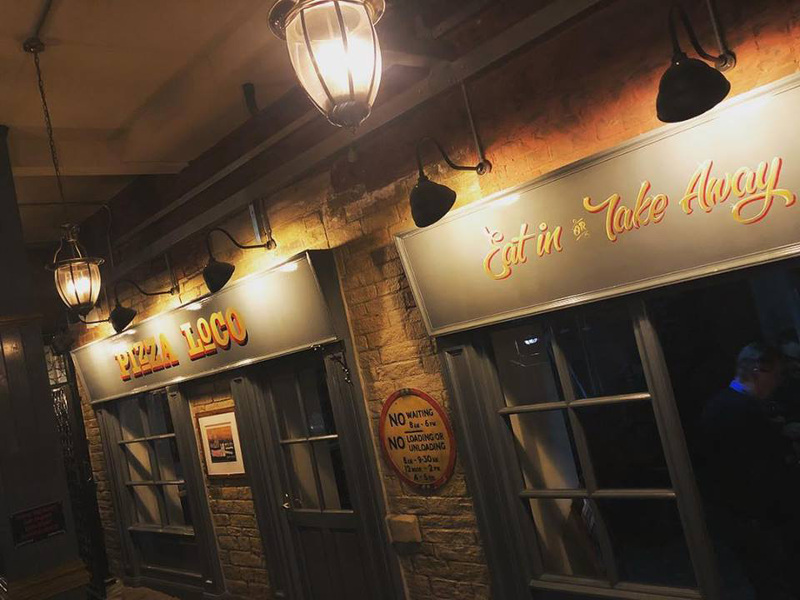 Some would be happy with just attending festivals and events, but Ollie is also quite the entrepreneur and his next venture saw him open a restaurant in the quirky Sunbridge Wells tunnels in central Bradford. And if that wasn’t enough, he decided to become a Dad throughout all of this! 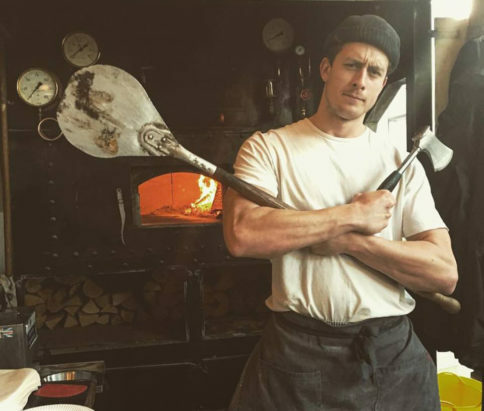 Well… when we found out that one of our favourite days was coming up, #NationalPizzaDay on 9th February, we thought we would catch up with Ollie to find out what makes his pizzas soooooooo special. 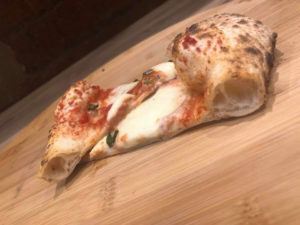 Ollie started, “We use a winning combination of Italian and Yorkshire ingredients to bring you a taste of Napoli with homage to God’s own country. The dough is obviously incredibley important, it is the foundation to a great crust. The pizzas we serve are not deep pan, they’re Neapolitan style”. Oh yes, we certainly do. And as we went to take hold of the last pizza slice on our plate (What?! You think we would meet anywhere else other that his restaurant!?) Ollie let us into a secret… Believe it or not, there is a special technique for eating a Neapolitan pizza without even slicing it. 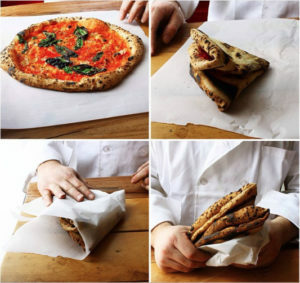 It is called “portafoglio”, meaning wallet. 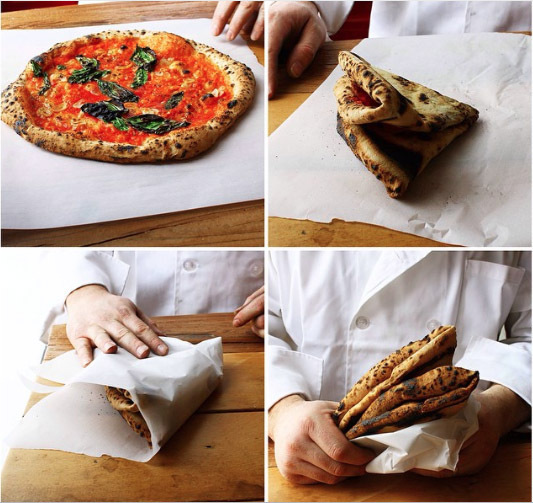 To use this technique, you simply miss the pizza-slicing bit and fold the entire thing once, then a second time, hold it in a napkin, and bite into it. Genius! Ollie, we wish you all the best in your endeavors and cannot wait until we see that beautiful black locomotive enter our festival field once again. Yes ladies and gentlemen, not just a train and not just a pizza stand. The combination of both, plus Ollie & his team’s amazing talent, really do produce some of the best pizzas we have ever eaten, and we wouldn’t let our audience have it any other way. Smiles all round.